Lesson #1: The Megabus and I are not friends. I decided to take the Megabus because I was round trip tickets for $30 ($5 here and $25 home). I couldn’t drive out of Illinois for $30 let alone all the way to Minneapolis so that was pretty much a no-brainer. Apparently as I’ve gotten older though my car sickness has intensified as I spent the entire 8.5 hour trip wanting to barf. Within 2 hours of leaving, I’d already booked a flight home on Spirit. The bus wasn’t terrible otherwise, but I was not going to survive another 8.5 hours of nausea. Lesson #2: The running trails in Minneapolis are…interesting. One of the guest services people at the hotel gave Laura and I directions to running trails. We listened, but didn’t take notes or write anything down. We weren’t ever really lost, but we certainly didn’t really know where we were. The areas these trails went were a little sketch feeling. At once point we were running under the highway in a creepy little viaduct area. We did see some sweet sculptures in the sculpture garden though. All in all, not my favorite running route ever. Lesson #3: Dunn Bros Coffee – just do it. After our run, we went on the hunt for breakfast. I’d seen someone tweet about having been to Dunn Bros. twice already so when we saw it, I suggested we go it. Let me tell you, it was our best decision thus far. I had an bacon egg and cheese biscuit sandwich, and it was probably the best breakfast sandwich I’ve ever eaten. Ever. And I’m pretty much a breakfast sandwich connoisseur. It was great to meet you too! 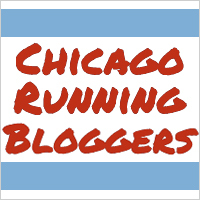 We should keep in touch being that we’re both Chicago bloggers and all!